Music is an essential part of Capoeira tradition. 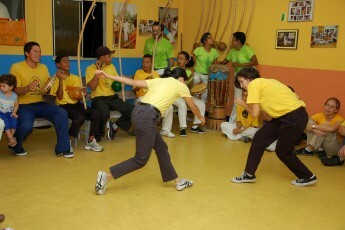 Combining singing with percussion, Capoeira music provides energy and rhythm to the game. Tales are told through songs sung in Portuguese, which convey Brasilian history and the history of Capoeira. Shortly speaking, Capoeira is a unique African-Brazilian martial art, a blend of sport, martial arts skills, dance, folklore, music, theatre and philosophy. All those elements are connected by the rhythms of percussion instruments such as the atabake and berimbau. 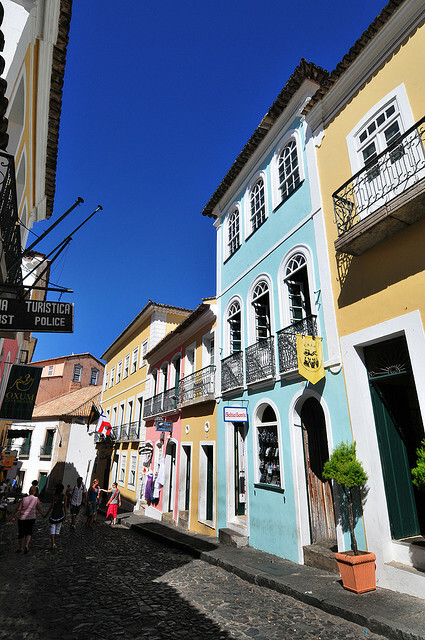 Here in Brazil, it emerged during the 200 years of slavery (16th–18th centuries). So, on one hand those people struggled to overcome adversity in a harsh new land with social injustices, and, on the other hand, Capoeira was the vehicle for personal development and expression of cultural survival. Considering that everyone is able to learn this art, and express it in a unique manner, we start our experience at the Angola Capoeira Association, either at Pelourinho historical center or at the Santo Antonio do Carmo Fort. We’ll meet the Master that will tell us more about the tradition. He will give us 1 hour lesson, showing all the physical and mental benefits that this art promotes. We’ll learn and understand basic techniques to take advantage in our own lives. Back to the hotel.